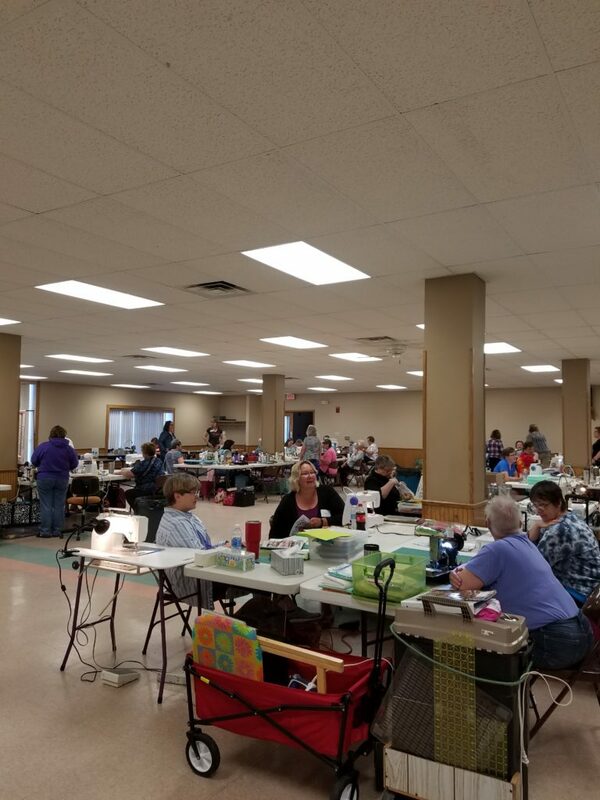 I recently returned from my first quilt retreat. Jo, from Jo’s Country Junction invited me. 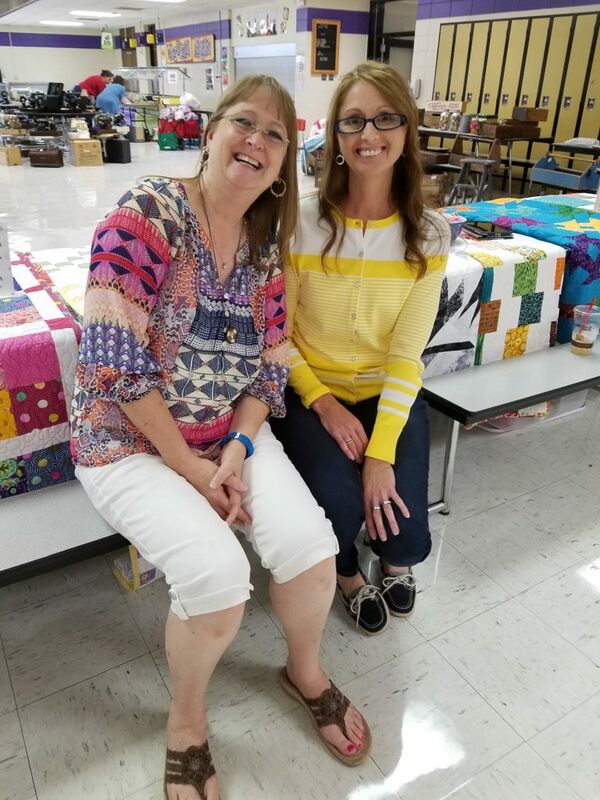 She felt that I would enjoy it, I would get to know Bonnie Hunter and people would be able to meet me in regards to my longarm quilting business. I was hesitant about attending for a few reasons, first off it would be 3 days away from home, all I could think of is, I will be even further behind with my work when I get home. Second, I haven’t pieced a quilt in almost 5 years because I have been working on other things and busy with my longarm quilting. I just could not imagine going. I really only thought about it for about a day and then committed because I knew if I weighed the pros ands cons, I would not go. Let me tell you, I am very glad that I attended the retreat. 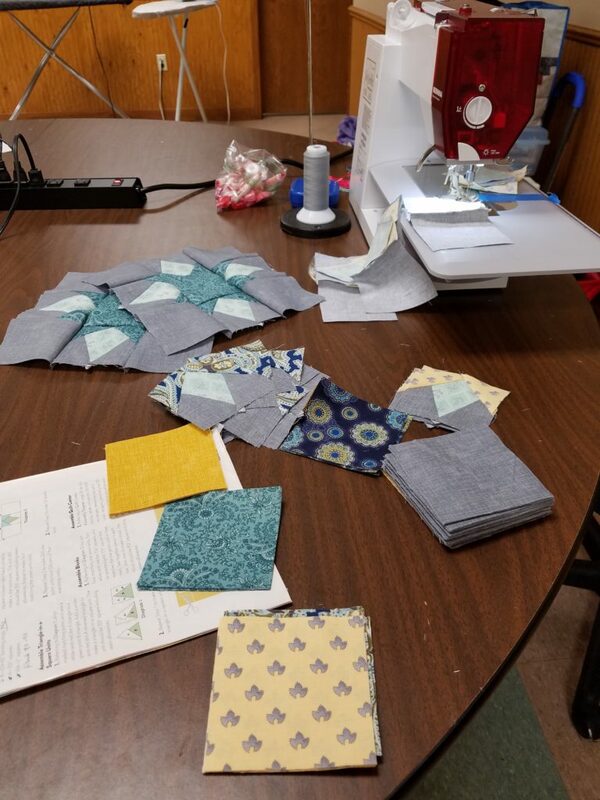 I learned many new piecing skills and techniques, I learned all about Bonnie and met more great quilters. For those of you who have not heard of Bonnie Hunter, she is like a rockstar of quilting. She is known internationally and her retreats are booked out through 2019. Bonnie has a great backstory, is a down to earth gal and teaches quilters how to make beautiful quilts out of left over fabric, “scrap quilting”, you can check out her site Quiltville to learn more. Jo and her daughter, Kelli started organizing this retreat in 2015 as it takes about 2 years for all the planning to come together. It was held this year in Oelwein in 2 locations, mine was at the Community Center where 58 of us attended. Here is a photo of the layout. There are tables set up for the quilters. We bring our sewing machines and other supplies needed to sew, they provided irons, ironing boards and cutting supplies. Here is a photo of my area. This may be hard to understand, but getting my sewing area situated was the hardest part of the day. I have only sewn at home, and if you have seen my photos you know I have a sewing table, a cutting table and my other sewing supplies set up in a large area. So sewing on a section of a table was challenging at first but after a while it worked out ok. I shared my table space with two other quilters from Illinois, Mary and Luanne. You just can’t believe how kind and helpful they were, oh and very funny! In the three days of the retreat we worked on 3 new projects. We also had a vendor show, 2 quilt trunk shows and had two speakers. I will be sharing my projects with you in future blogs as I continue to work on them. I would like to set aside 30 minutes each day to complete these, I will keep you posted! 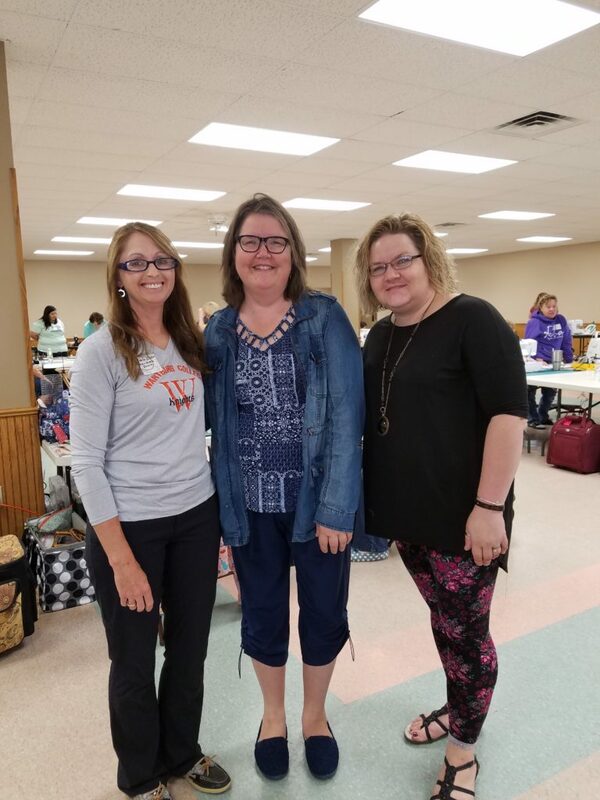 During the retreat I was able to meet so many new quilters and was able to meet those who already read my blog, a face to the name now! Please leave a comment if you were at the retreat and let us know how you are doing with your 3 quilts. This entry was posted in Uncategorized on August 8, 2017 by Carla. Hope to work a little bit on my spiderweb tomorrow, haven’t even unpacked my machine yet! Arrived home around 8 Sunday and back to work Monday morning then to bed after since was not feeling well. But back to normal today. I REALLY wanted to attend a Bonnie workshop for years and am so glad I was able. What I did not realize was what great gals I would meet and hopefully will see them again! 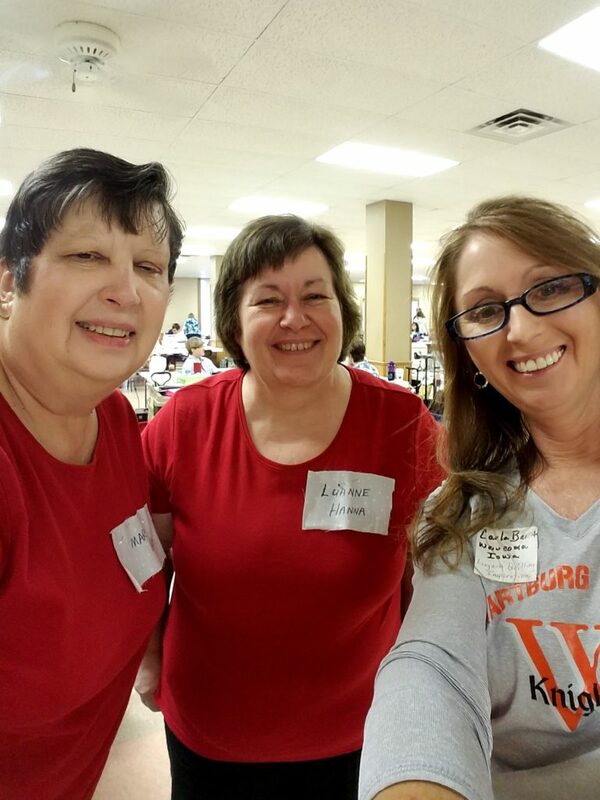 Being together with like minded quilters gave me such a lift and would recommend anyone to go to a retreat(especially with Bonnie) even if they know no one. Hello Brenda! So nice to meet you at the retreat and glad you guys made it home safely. Kudos to what you wrote! Carla…I’m so glad you enjoyed yourself. You could come over for a quilting day one day and we both could work on our projects!! Yes, it will be fun to see them completed and then we will have “new” quilts to use! Hi Carla, it was nice to meet you and I am glad that you had a good time. 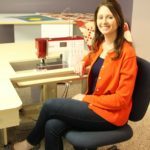 Retreats are a great way to meet other like minded people, learn some new techniques, and renew your ‘mojo’ for sewing and creating. I haven’t worked too much on my projects, but have gotten everything unpacked and returned to their proper place. Today I sorted out my fabric and blocks to get more blocks cut out – but then since the weather was so nice…the garden was calling yesterday and today. The fabric will still be there tomorrow while it is raining lol. Sherry, nice to meet you as well along with all the other wonderful quilter’s. I thought the retreat was just going to be about sewing….it was much more than that. Keep working on your 3 quilts and post your progress! It was so wonderful that you got to attend, Carla! Bonnie breaks down the organization of scraps to a manageable level to use these to make an awesome quilt. With planning and practice I think it will be easy. I hope you get to attend another retreat soon! I attended my first retreat last fall and discovered that I also loved it. Sure wish I had taken advantage of attending this one, Bonnie is a whiz at scrappy quilts. I look forward to seeing your projects from the retreat.